October 27, 2014  Rite Aid took the same step, leading many observers to note that the two companies are part of a group of retailers that's developing its own payment system, called CurrentC. September 3, 2014  In February, CVS said it would stop selling tobacco products, despite the profits they brought the company. 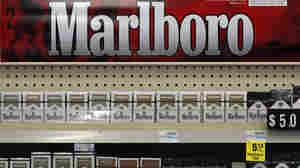 Now cigarettes in the company's stores are history. 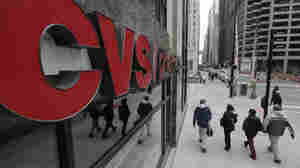 March 17, 2014  In letters sent to Wal-Mart and other store chains, officials ask the companies to follow the example of drugstore chain CVS, which has announced it's ending sales of tobacco products. 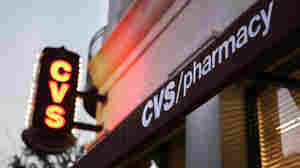 February 6, 2014  The CVS drugstore chain's decision to stop selling tobacco products drew praise as an important public health step. 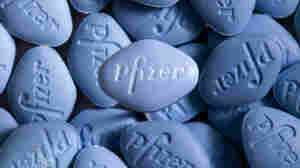 But, we wondered, how many people buy cigarettes at drugstores? Not as many as we thought. February 5, 2014  The drugstore chain says halting the sale of tobacco products could reduce revenue by $2 billion a year. CVS says it's looking for ways to make up for the lost business. But the value of the good public relations from the move could easily surpass the costs. February 5, 2014  The company's 7,600 pharmacies will remove cigarettes and other tobacco products from their shelves by Oct. 1. The decision should "help people on their path to better health," says CVS CEO Larry Merlo.